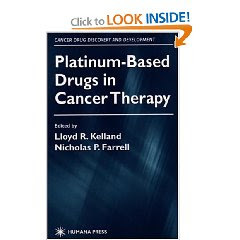 comprehensive book useful for scientist, medical oncologist and pharmacist seeking answer on specific questions concerning preclinical and clinical data of platinum drugs. interest in the chemistry and biochemistry of the platinum compounds. bypass, apoptosis, and the transport of platinum drugs into tumor cells.